Who are the two boxers, I wonder. I feel like I should recognise them but no names come to mind. berkley, that boxing match is between two unnamed fighters (my guess is that they are both sailors), July 3, 1899 aboard the USS New York. 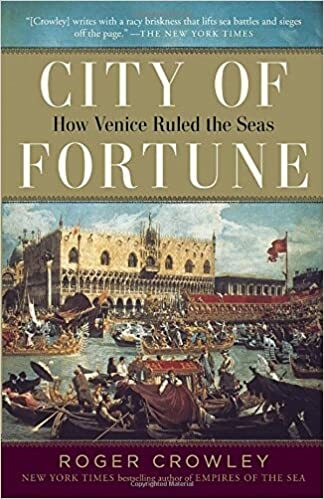 Finally finished up City of Fortune: How Venice Ruled the Seas by Roger Crowley. It's the last of his popular histories that I've read and it's the one I struggled with the most. Not that I think there's anything wrong with the book or that it's not as good as the others. I just think I am having a bit of reader's block and this wasn't the answer to the problem. I really haven't been reading any comics either. There was a lot to like about the book. My knowledge of the Venetian Republic was pretty cursory. I had a good grasp of the Fourth Crusade and some knowledge of the Venetian-Ottoman Wars. It was interesting to see the full extent of the Venetian-Genoese rivalry and the fact that in many ways Venice was the first European colonial power. It was also interesting to see that the Venetian-Genoese rivalry was a definite factor in the growth of the Ottoman Empire and their entrenchment in Europe. A good interesting book I just didn't happen to read at the right time for me. 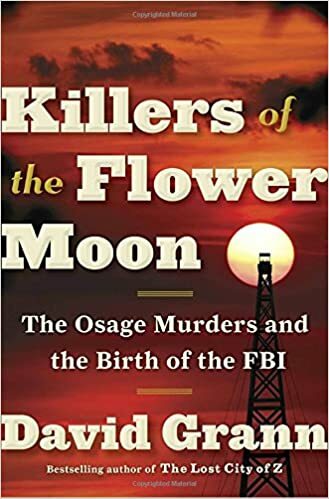 I finished up Killers of the Flower Moon: The Osage Murders and the Birth of the FBI by David Grann last night. Easily one of the best books I've read in the last year or so. Better yet it presented me with a look at a events that I was pretty much completely unfamiliar with. The book looks at a series of murders of members of the Osage Indian tribe (and a few ancillary folk) in the 1920s. At the time the Osage were, per capita, the richest people on Earth. This was due to the tribe having been settled on worthless land that ended up sitting on top of a huge oil-field. And, as usual, the government and the white establishment worked overtime to find ways to screw them out of their land and money...including murder. I did have some background on the legal issues surrounding the allotment system, the systematic attempts to de-culture Native Americans through forced attendance at boarding schools and the use of "Guardians" to ensure that the Indians weren't allowed to spend their own money from an Indian Law class I took in law school. While none of this was the focus of the book, Grann did a good job of integrating those issues into the narrative. The main narrative deals with the killings of Osage members and the investigation (and non-investigation) of those crimes, ultimately by what would become the FBI. I would say that the portion of the subtitle about "the birth of the FBI" is a bit of a misnomer. Certainly the Bureau of Investigation existed before the case. But it probably is fair to say that this case was one that contributed to the growth and reputation of the FBI...deserved or not. Grann makes a strong case that, while some of the perpetrators were caught, the practice of killing Osage members for their headrights was much more widespread than was recognized at the time and that many people probably got away with multiple murders. Even those who were ultimately convicted ended up getting paroles on their life sentences. While there certainly could have been other reasons, there is always the thought that it happened because...they just killed Indians. As an defense attorney I was appalled by some of the shenanigans that the defense counsel are reported to have pulled both at trial and in pre-trial matters. Certainly there was a jury verdict against certain individuals in the cases that went to trial. Grann writes a compelling popular history here that doesn't fall into the excesses that frequently come with "true crime" writing. It's a look at incidents that had been largely forgotten...but definitely shouldn't be. And another sad chapter in the underside of U.S. history. Wondering if you'd heard of the kinda-sorts sequel to Gilbert King's Devil in the Grove (another book you pointed me toward that I absolutely loved) that continues the story of the reign of redneck terror imposed by Sheriff Willis McCall, this time with a bizarre twist to his racist evildoing. I'll be looking for it soon. I had not seen that. Thanks for pointing it out. I'll have to keep an eye out for it. 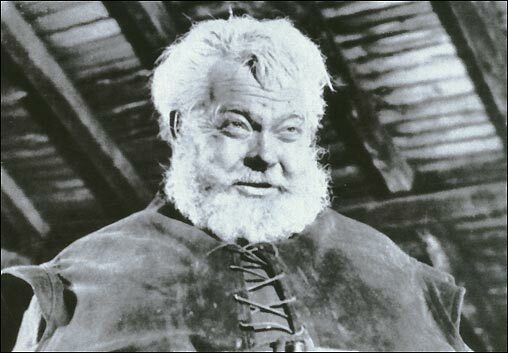 Old Willis McCall was a piece of work. So I finished watching Turn (as well as reading the companion book, Washington's Spies by Alexander Pope). While there are plenty of things that are pumped up for television, it was really nice to see some unsung heroes get some press. While the show definitely idealized all the good guys, and made the bad guys alot worse than perhaps they were, it was certainly entertaining, and had enough history in it to make me happy it exists. The book was a little on the dry side, but was a nice fact check against the show (though most of what was made for Hollywood was pretty clear). Neolithic henge unearthed at East Anglia One cable site. This appears to be a pretty significant ceremonial site. The fact that they can see tool marks in some of the wood is amazing. They've also found the remains of an auroch...which is terribly cool. Discovery of ancient tools in China may impact history of migration of man out of Africa. Interesting find. I'll be watching for more info. I do have to say that to my untrained eye a lot of ancient tools look like rocks. 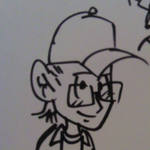 I know there must be distinguishing characteristics, but I'm just not well versed enough to understand them. Tell me about it. Part of my job for the past 15 or so years has involved translating archeological texts for scholarly journals - there's all these specific terms for the different type of Stone Age tools and implements (e.g. sidescrapers, endscrapers, burins, blades, bladelets, etc.) and when I see the illustrations or photo plates, they all just look like indistinguishable angular rocks to me. I've often wondered about that.. how do we know which are tools and which are rocks that happened to smash against another rock? I assume the experts have a way to attempt to determine, but it seems dicey to me. Here's a bit of a breakdown from FiveThirtyEight. "It's summer in the northern hemisphere, which means archaeologists are sharpening their trowels as they embark on fieldwork projects. Here's a few dig diaries to follow along: The Ness of Brodgar (http://www.nessofbrodgar.co.uk/) is the site of a stunning complex of Neolithic buildings in the West Mainland of Orkney. Newgrange Farm excavations (https://newgrangefarmexcavations.wordpress.com/) are investigating a substantial feature discovered through geophysical investigation in 2015. It's the first excavation to take place at the site for 30 years. Bamburgh Research Project (https://bamburghresearchproject.wordpress.com/) is excavating within the walls of Bamburgh Castle, the site of the fortress palace of the Anglo-Saxon kings of Northumbria. Waterloo Uncovered (http://www.waterloouncovered.com/whats-on/) works with current and former service personnel, alongside archaeologists and students, and are currently excavating Hougoumont Farm at the battlefield at Waterloo." edit: not sure why the links in the paragraph above aren't live. Ancient breadcrumbs indicate our ancestors baked bread before they started farming grains. Very interesting that it appears the baking of bread may have been a step in encouraging agriculture as opposed to a byproduct thereof. I guess the trendy folk can add bread to their "paleo" diets now. Excellent! Now they can make grub and berry sandwiches!